BHP is part of Australia's DNA; but it remains an enigma. The Big Fella: The rise and rise of BHP Billiton is the compelling story of how BHP and its partner Billiton rose from the humblest beginnings in the Australian Outback and on the Indonesian island of Belitung to starry heights on the great bourses of the world. Based on more than 60 exclusive interviews, it rips away the superficial gloss to expose the political and industrial forces that really drive Big Business in the 21st century. 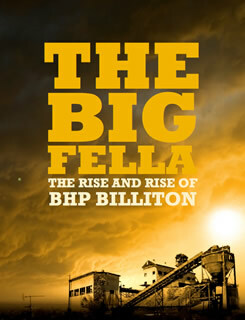 In an investigative tour de force, authors Peter Thompson and Robert Macklin reveal the visions, the schemes, the scandals and the corporate life-and-death struggles that have characterised BHP's evolution from the first lucky strike by the mysterious Charles Rasp at Broken Hill in 1883 to its merger with Billiton in 2001 to its daring $150 billion bid for Rio Tinto six years later. The result is a gripping story of foresight and blunder, of nation-building and rampant ego, of greed and of grace, written by two master storytellers with, for the first time, access to the key players themselves. 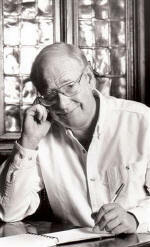 "This is a thoroughly researched but easy-to-read book that benefits from dozens of original interviews with the significant personalities who were there at the time. Its glimpses inside the boardrooms and politics of Australia's biggest deals are hugely revealing." "The Big Fella excels in airing the dirty linen of BHP Billiton's boardroom and executive battles during tumultuous times, making an easy and enjoyable read about internal politics as opposed to the coalface operations of the biggest miner." "...this exciting, complex and justifiably lengthy account of the BHP Billiton Group…This book will have broad appeal…a giant MBA case study, a potential script for a thrilling movie and a terrific story of the exercise of global power."